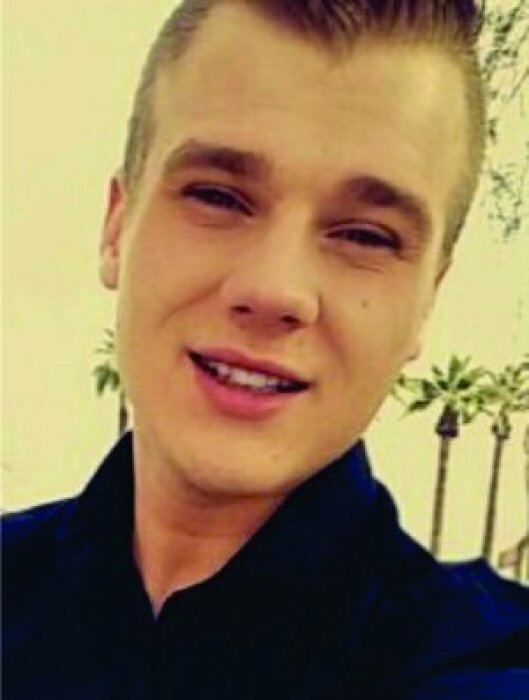 Obituary for Trevor Hammon | Campfield Hickman Collier Funeral Home, Inc.
Trevor Hammon, 24, born July 10, 1994, passed away January 24, 2019.Born and raised in Barberton/Norton, he had a great love for music and passion for helping others.Preceded in death by grandparents, Ora Sayer, Edith Hurst, Sharon Kelley, Kathleen Phillips, Jerry Kelley; Uncle Howard Hammon III and Aunt Anita Jackson. Trevor is survived by his mother, Neva Hammon (Randy), father David Kelley and stepmother Roberta Singleton (Bill); sisters, Megan Warren, Tori Kelley; brother, Derek Hammon; grandfather, Howard Hammon Jr. (Carol); uncles Russell Hammon (Jen), Steven and Brian Kelley; aunt Alesia Cengia (Alf); nieces, Viviene and Jaedyn and nephew Matheus, godmother, Jackie Goch (Kent), and family friends Linda Robles and Monica Wainuskis and many close friends and family. A celebration of life will be held Saturday, February 2nd at 5 p.m. at the Campfield-Hickman-Collier Funeral Home, 566 W. Park Ave, Barberton 44203. Trevor’s family will receive friends from 4 p.m. until time of service.In lieu of flowers, donations can be made in Trevor’s name to Teen Challenge, 1319 Florencedale Ave Youngstown, OH 44505.